Medical community embraced an idea to make healthcare better, safer, and more efficient. If every person’s complete medical history is stored on computers linked up across the country, clinicians anywhere could view a patients’ blood test, hospital stay, and X-ray, smart software would guide the diagnoses. In hospitals, prescribed drugs and doses would be computer-vetted against each patient to forestall life-threatening medication errors. Such ideas led to the prodding of Electronic Medical Records. An Electronic Medical Records (EMR) is a computerized medical record created in an organization that delivers care, such as a hospital or physician’s office. 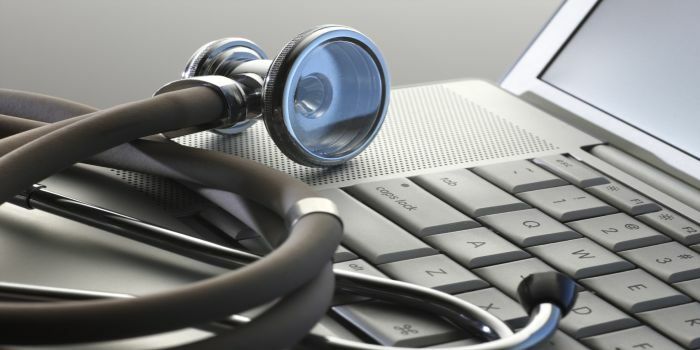 Electronic medical records tend to be a part of a local stand-alone health information system that allows storage, retrieval and modification of records. EMR can make healthcare more efficient and less expensive, at the same time improving the quality of care by making patients’ medical history easily accessible to all who treat them. The benefits of information technology are “enormous” — improved safety and quality of care, providing convenience to patients and better outcomes in general. EMRs pull together all of a patient’s information from the results of the last routine checkup with their primary care doctor to CT scans from their emergency hospital admission in one place. This is secure and remotely accessible, not only to physicians but to the patients themselves. Electronic records help doctors to capture and manage health information. The future vision of many connected health systems is the ability to connect the electronic medical record system to a personal health record creating a “shared record”. This sharing will have to include elements of granular permissions at the data type level and the ability for patient generated content to be “tagged” allowing the provider to maintain clinical integrity of information. As population soars and life expectancy rises, there is a greater need for the most innovative technological advancements to solve medical issues that plague the global population. In the past, traditional medical innovations focused on extending life-expectancy and improving quality of life. While it is clear that many of these initiatives succeeded, future innovations must also consider the economic impact. Current spending is unsustainable, especially in the developed world. Healthcare needs technology not only to improve patient health, but also to bend the cost curve. Technological innovation is changing healthcare trends today. In the areas of genomics, diagnostics, devices/ therapeutics and traditional healthcare IT, a number of remarkable discoveries have been made that have improved patient care exponentially. Technologies are demonstrating a paradigm shift in delivery of patient care. Due to the availability of wireless devices, patients can receive care in the comfort of their own homes rather than in the hospital. Decentralization of healthcare is enabling services to be delivered in the most effective cost structure. Given the enormous cost of hospital care, new heart monitoring equipment is allowing patients to leave the hospital several days earlier. More importantly, the monitoring is enabling the institution providing the care to keep the patient from being readmitted as they can intervene prior to a major emergent care episode from occurring. The development of advanced sensors allows for monitoring anywhere, anytime. This flexibility is driving innovation and changing healthcare delivery today. We will have successfully transitioned the system from one which “fixes people after they’re sick” to one of preventative, diagnostic genomic-based medicine. Treating patients for the conditions we know they are likely to develop and re-architecture the system around that reality. A system which will provide for virtual care through bio-connectivity and extension of the hospital into a community-care oriented structure. A consumer driven retail oriented health care environment for non-critical care treatment that provides significant opportunities for cost reduction. Real-time analytics and location-intelligence capabilities which provide for community-wide monitoring of emerging health care challenges. Ranosys Technologies has worked in the healthcare domain and had developed Electronic Medical Record system which precisely meets its goal of providing the vital information to physician as well the patient. As it is said in the future there would be instances where applications would be prescribed in place of medicines, Ranosys Technologies took the leap ahead and came with EMR based mobile Application. EMR App developed by the team at Ranosys Technologies gives the ability for the users using Electronic Medical Record software to remain connected with the patients update as well as their daily schedules. This system is in use by clinics worldwide for clinic management and records purposes. Significant technological, scientific breakthroughs and global trends in the healthcare industry have shown tremendous potential in personalized medication and treatment. Healthcare innovations have revealed how cost and accessibility can be improved to address local challenges. Increased consumer literacy, participation and pro-activeness indicate the need for change in healthcare delivery and hence healthcare is one of the major domains in which Ranosys Technologies has come up with some vital and crucial features adding value to the healthcare solutions. Innovation and adoption being two key driving forces, Ranosys Technologies is adopting the best practices to generate and innovate product with the prompt services for the users.